Just as with other gemstones, the carat weight, clarity, cut, and color have significant control over how a sapphire appears and its quality. How Do The 4Cs Apply To Sapphires? 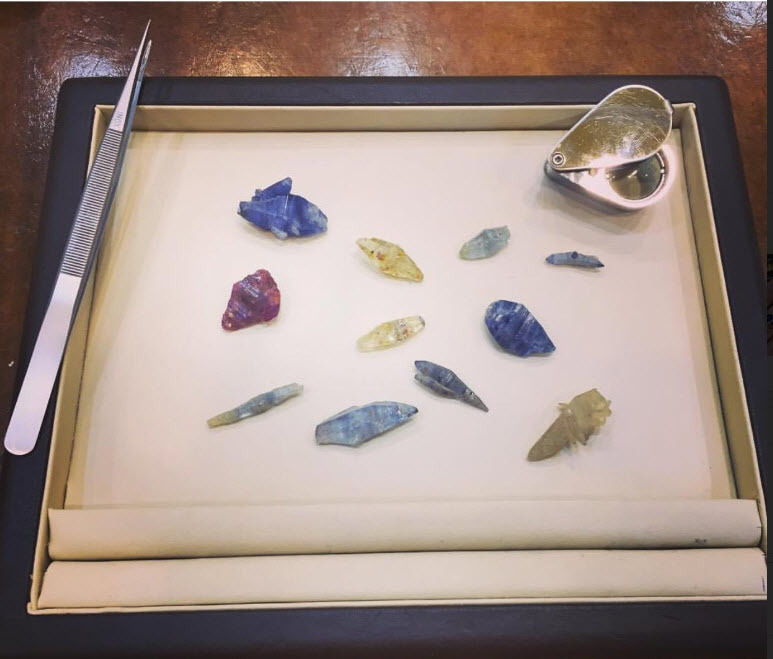 A selection of our rough sapphire crystals, all would have different cut, clarity, color, and carat weight. 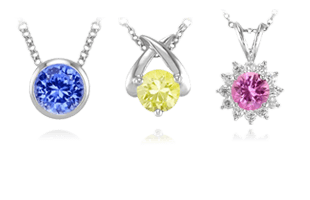 Similar to diamonds, the quality of colored gemstones is graded using standards set for four criteria. 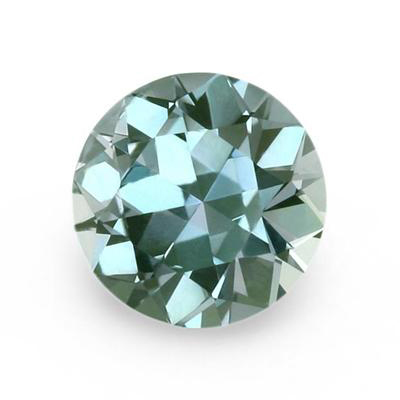 However, the rules for grading within each criterion are different for colored gemstones than diamonds. We break down the 4Cs for sapphires below for a complete guide on how color, clarity, cut, and carat weight affect sapphires, especially for natural and untreated sapphires. When considering all of these components for your natural and untreated sapphire engagement ring, it is vitally important to have an understanding of how you may want to set your sapphire in the ring so that you can consider which of the the 4Cs may be the most important for your particular needs. Blue Kashmir Sapphires that show great color are one of the rarest gems on earth. Color interpretation is unique from one person to the next. Lighting may also affect the appearance of color. 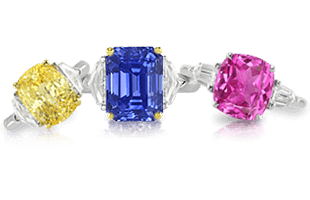 We always do our best to give our sapphires the most accurate color classifications. Two or more gemologists evaluate our sapphires, and the resulting color description is based on their professional opinions. For years, gemologists have sought a more universal and objective means of assessing color in sapphires. As a result, the judging of a sapphire’s color is dependent on three prevailing factors: the gemstone’s hue, saturation, and tone. Often, multiple colors can be found in the same sapphire. A padparadscha sapphire with a more orange hue. Hue is the gemstone’s basic color. While a sapphire’s color might be described as yellow or blue, more often gems are a combination of hues. 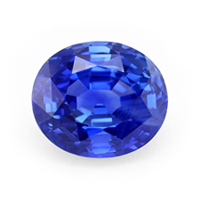 For example, a blue sapphire can have violet or green secondary color components that affect their beauty and value. The hue of these sapphires would be more accurately described as violetish-blue or greenish-blue. This unique sapphire’s tone would be considered greenish blue. 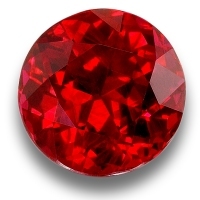 A ruby with vivid color and very strong saturation. Saturation describes how pure or intense a color appears, and it is a key component in determining a sapphire’s value. The color of a sapphire may be “diluted” with what is called a “saturation modifier.” With cool colored sapphires like blue, green, and violet, gray is the usual saturation modifier. With warm colored sapphires, including yellow, red, and orange, the typical saturation modifier is brown. Regardless of the sapphire’s hue, higher levels of saturation are preferred, which means modifiers do not dilute their color. The finest sapphires have “vivid” saturation, but sapphires with “strong” saturation are also prized. Silk inclusions in a pink sapphire as seen under magnification. A number of other factors may also contribute to the apparent color of a sapphire. For example, certain inclusions can actually improve the color of a sapphire. Minute needles of rutile silk are highly reflective and they scatter light within the stone, which may improve the apparent color. A sapphire’s color may also depend on how it is cut. Skilled gemstone cutters fashion sapphires to maximize their brilliance, minimize color zoning, and exhibit their best pleochroic color . We will explore this concept more when we discuss the cut of a stone. The Titian’s Eye, our 69.35 carat natural untreated blue sapphire is exceptionally rare due to its size, color, and clarity. It is the perfect gem for a serious collector. The clarity of a sapphire begins to develop at the very earliest stages of its creation. Sapphires form under very specific conditions within the earth’s crust. They can take centuries to form through the process of the presence of corundum in igneous rock that slowly cools and changes over time. As these formations are cooling, large crystals of minerals can form from what is present within the magma. The more slowly the cooling occurs, the larger the sapphire will grow. The conditions under which magma cools are very likely to introduce changes in pressure and environmental factors that produce inclusions in the sapphires. The presence of these inclusions and trace minerals create the unique color and overall look of each colored gemstone. As a result, each sapphire is truly unique and no two will ever be the same or have the exact same internal structure. 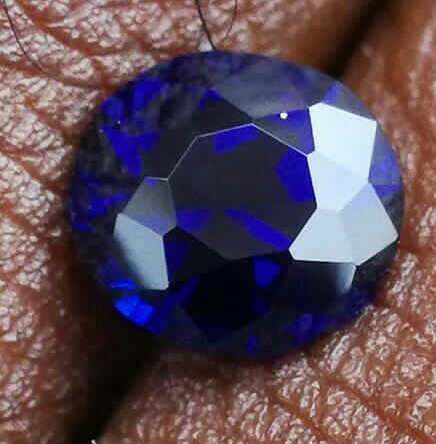 A round cut Nigerian blue sapphire with stunning clarity. In order to judge the clarity of a sapphire, the size, location, quantity, and overall appearance of inclusions are of the greatest importance. Inclusions can affect the sapphire’s beauty and brilliance in both positive and negative ways, to it’s imperative to understand inclusions. For that reason, we have a more extensive discussion of inclusions on our site. While diamonds are valued for their lack of inclusions, all of gemstones are expected to have a certain amount of inclusions as a result of their natural crystal growth. When evaluating clarity for a sapphire, the grading of “eye-clean” is the optimal clarity, meaning no inclusions are visible to the naked eye. “Eye-clean” sapphires are extremely rare and valuable, especially when even the finest gemstones are not expected to be free of inclusions even when viewed under 10x magnification. For that reason, even gradings that are “very slightly included” or “slightly included” will be beautiful gemstones. 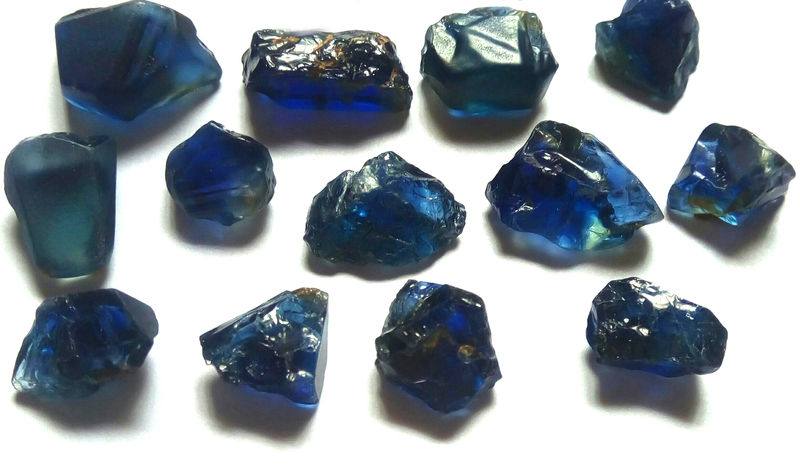 These deep blue sapphire crystal rough pieces will all have different clarity and be cut into different carat sizes. The term “cut” can have several meanings when applied to sapphires and other gemstones. For example, it may describe the faceting style or shape of a finished gemstone. The term also refers to a gemstone’s proportion and finish. Proportion refers to the rough dimensions and overall symmetry of a gemstone. Finish describes the precision with which facets meet, the relative size and number of facets, and the quality of the stone’s polish. A diagram showing the overall cut grades for sapphires. Maximize the apparent color of the gem. A skilled gem cutter can influence the apparent color of the stone by maximizing a stone’s brilliance or amount of light returned to the viewer’s eye. Maximize the gemstone’s final weight. This may be constrained by the sapphire’s crystal habit or growth-form. 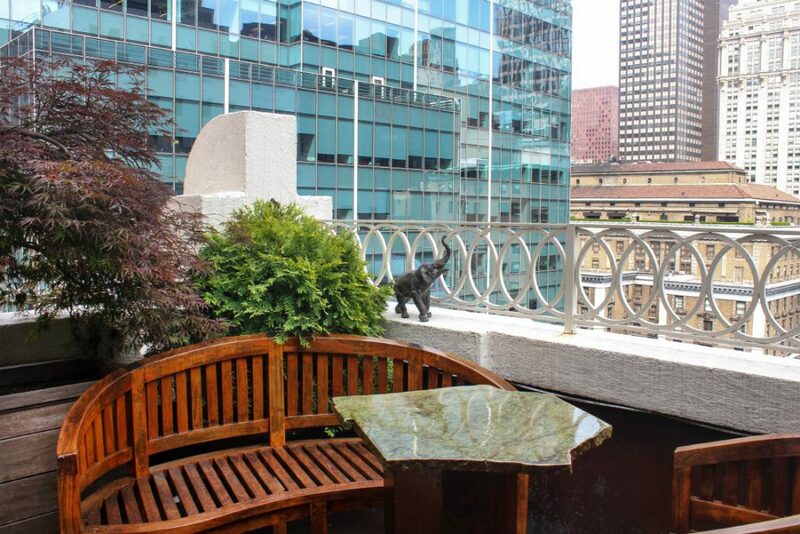 Minimize the appearance of undesirable inclusions or color zoning. Filling consumer demand for certain fashions or cutting styles. Symmetry Grade: an assessment of a gemstone’s proportion, balance, and uniformity determined by a number of criteria including length-to-width ratio, bilateral mirror images, etc. Face-Up Cut Grade: an evaluation of a gemstone’s symmetry, proportion, and appeal while viewing the stone with its table facing the viewer. Profile Cut Grade: an evaluation of a gemstone’s symmetry, proportion, bulge, table size, and girdle thickness while viewing the stone from the side. Table Size: is calculated as a percentage of the gemstone’s total width. The table is described as small if its size is under 33%; acceptable if it is 33-67%; and large if it is above 67%. Girdle Thickness: the average thickness of the gemstone’s girdle, which is the junction between the crown and pavilion of the stone. Overall Cut Grade: Overall Cut Grade: an assessment of a gemstone’s cut based on its symmetry, windowing, extinction, brilliance, face-up cut grade, and profile cut grade. 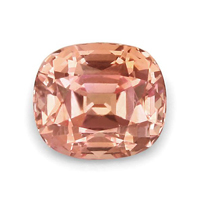 An example of a window and extinction in a cut and faceted pink sapphire. 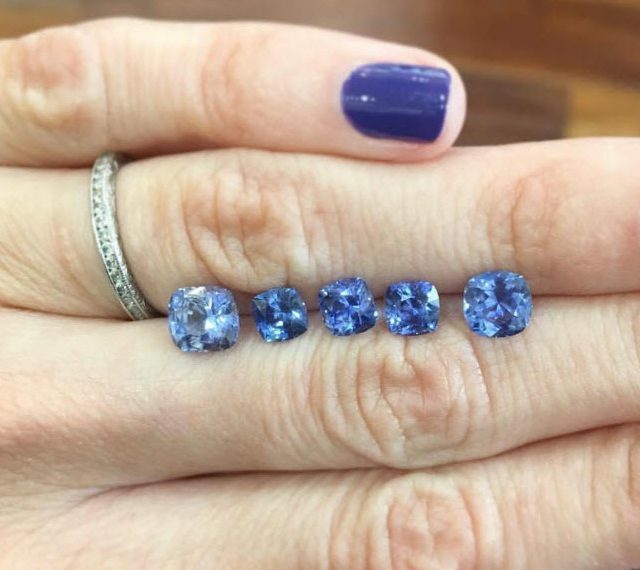 A group of blue sapphires showing varying carat weight and size. Large gemstones are harder to find than smaller ones. 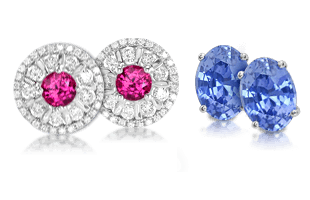 The effect of carat weight upon sapphire value varies from color to color. Yellow sapphires are comparatively plentiful in sizes above five carats, but five-carat padparadscha sapphires are extremely hard to come by. As with any gemstone, per carat prices increase with overall carat weight. Expect steep increases in the price per carat at the one, three, five, and ten-carat levels. Fine blue, pink, orange, or padparadscha sapphires that exceed fifteen carats are especially valuable and can fetch very high prices at auction. Fine quality sapphire rough is extremely expensive, so quality stones are not usually cut to calibrated sizes because it could result in a significant loss of weight. Commercial quality sapphires are more likely to conform to standard calibrated sizes. 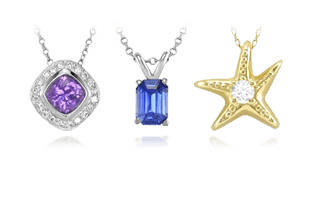 Carat weight changes from the rough crystal to the cut sapphire. A sapphire’s size, if expressed in a unit of weight, is called a carat (abbreviated “ct”). A carat is a metric unit equivalent to one fifth (.20) of a gram. One hundredth of a carat is called a point (abbreviated “pt”). A number of small sapphires may be weighed together to give a total carat weight (abbreviated “tcw”). Because sapphires have a high specific gravity, a one-carat sapphire will appear smaller than a one-carat diamond. 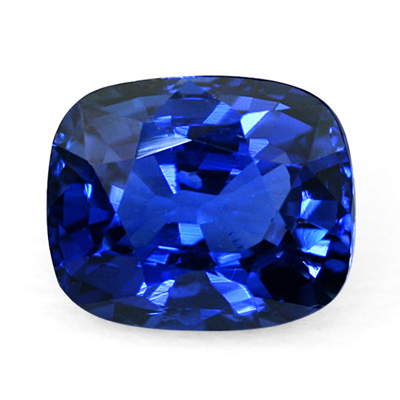 In certain sapphires, there exists another feature that affects the look of the gemstone. Discover how this phenomenon works in Color Fading & Reviving Sapphires.